Somewhere, in a response to a comment on a post at Alunaria’s Avenue (Thank you! ), I once said I would ‘probably try to write something for Z and Cinder’s next blog challenge’. It is funny how things work sometimes as I had a wee time away from this blog and World of Warcraft, yet by some odd twist of fate I am still in time to do just that. So here is my very first contribution to Z and Cinder’s Blog Challenge. I hope you enjoy it and I look forward to doing more of them in the future! Once you are done why not head over to their website give them a follow and check out this wonderful thing they do for the WoW blogging community. Z and Cinder’s Blog Challenge Topic 36: Farewell to Legion asks us to write on two things this time. The first part of the challenge is to write on our three top moments in Legion as we bid farewell to an amazing expansion. The second part asks us to write on what we are most looking forward to in Battle for Azeroth the next chapter in World of Warcraft. This is honestly such a tough one. 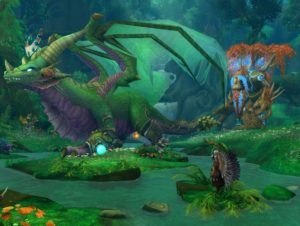 On the back of Warlords of Draenor there was so much more to Legion that made it arguably the best expansion Blizzard Entertainment has ever done. From new systems like World Quests and Mythic plus dungeons to more consistent and rich stories to world design, art and sound Legion pushed World of Warcraft well beyond the game it was before. To narrow all of the positive things that made up Legion for me down to three will be difficult but here goes. The stories in Legion were amazing. Starting off in the Broken Shore and losing so much in a story told to us with in game sequences and absolutely brilliant cut scenes. 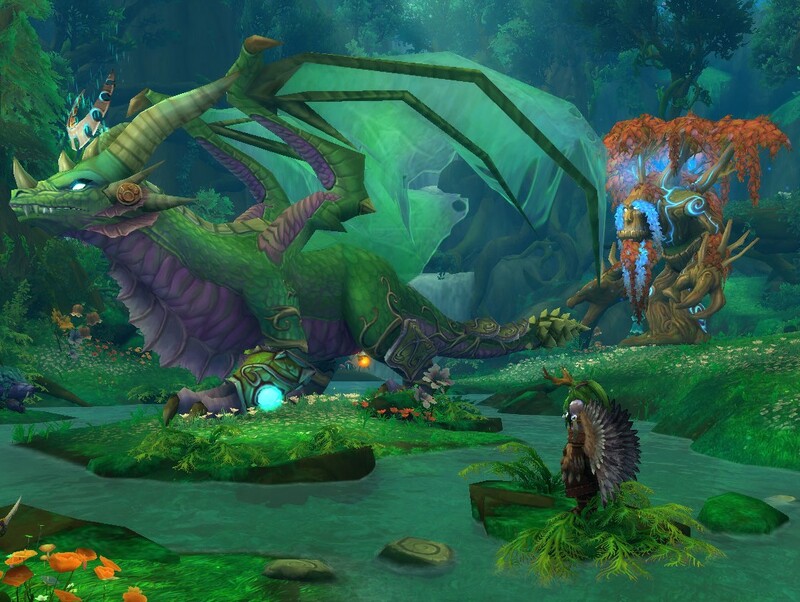 Blizzard once again set the stage for a grand tale they were trying to tell. This was attempted back in Warlords of Draenor and whilst not as grand or impactful it worked, delivering a sweeping adventure that sadly broke and fell apart far too early in WoD’s life cycle. 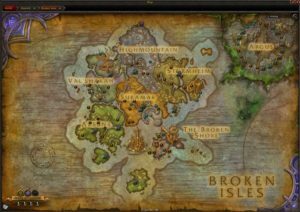 Every zone in Legion had its own unique story. Sure there was a little disconnect with the over-arching story of the expansion which, early on, was ultimately about collecting the Pillars of Creation we would need to stop Guldan. But wow the stories were engaging and I enjoyed revisiting them even when levelling through fifteen characters. To add to it all every individual character even had there own class story line. My favourite of all the stories told though was in Val’sharah, a zone which also had a fairly large impact on me and helped spur on my best moment in Legion. The very best thing I liked about Legion was the renewed joy I got for playing this amazing game. When I first started playing World of Warcraft I was Alliance and I played all aspects of the game and loved it for a little over three years. When I moved to get married I found myself in a new region where I had to start from scratch. The early friends I made moved to Horde and since I was having fun with them I too transferred. 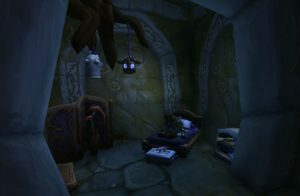 The rest of the tale on how I returned to the Alliance can be found in My WoW Story, if you would like to read it. One thing not mentioned in that story is how other things in Legion impacted me and helped to push the idea of returning to the Alliance along. There were a lot of elves and Elven lore in Legion. 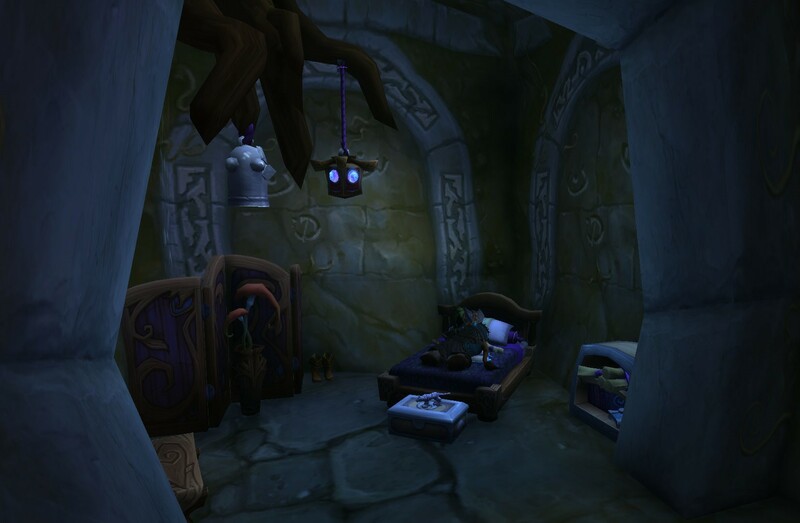 They were everywhere in Suramar, Aszuna and especially in Val’sharah. The story of which was heart-breaking but throughout the journey I was once again wrapped in that wonderful music of the forests. I was lost in defending those things that meant so much to the Night elves. Even ending and beginning my days in a glade with barrows as that was the Druid Order Hall! So much nostalgia was generated in and among all those trappings that it made my decision to transfer that much easier. I was struggling a little with World of Warcraft when I came into Legion. 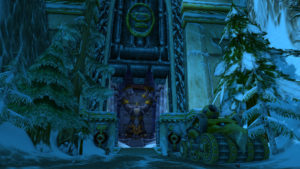 Warlords of Draenor was a bitter experience for many Warcraft players including myself. To make things harder I was coming into Legion with no solid guild or friends and playing on a faction I never personally enjoyed to begin with. So to go from that to where I am now is the single most important thing I take away with me from Legion. Onto the final part of Z and Cinder’s Blog Challenge, what am I most looking forward to in Battle for Azeroth. The most obvious thing would be playing through my first expansion since Wrath of the Lich King on Alliance but the actual response is just a little more. Today and over the next few days I am reworking my entire UI. All the nostalgia generated during Legion and everything experienced so far in the pre-patch has made me want to get back to a time when I just loved the game world I was playing. 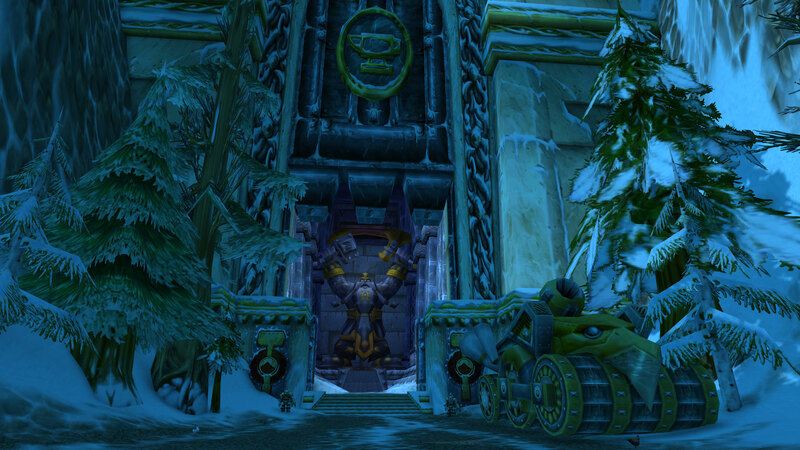 Back to a player that made her way to the mighty gates of Iron Forge and truly fell in love with this game as I experienced grandeur of it all. I am really looking forward to exploring, playing through the game and not racing to the endgame hamster wheel. I want to see the butterflies, hear the music, understand the story and feel it. Far too often since Cataclysm have I just raced to endgame. 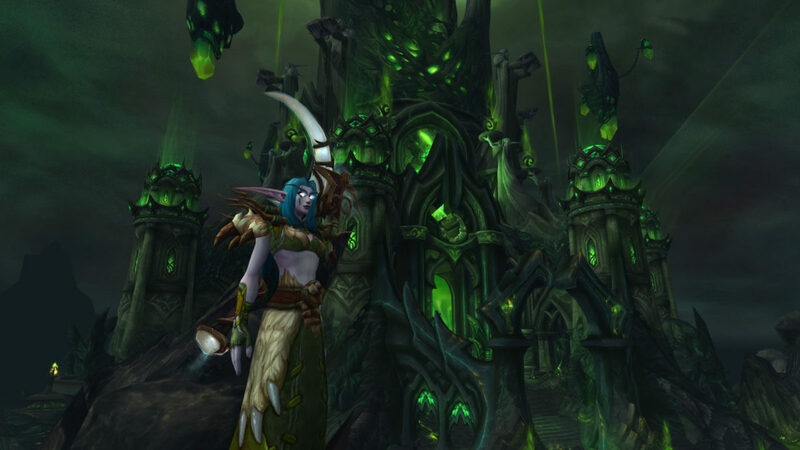 Pressing for max level and gearing to be in dungeons and raids as fast as possible and in doing so I have missed so much that is the World of Warcraft along the way. What I am truly looking forward to with Battle for Azeroth is far more than systems or fights, its experiences, and hopefully positive memories that will be the new nostalgia in years to come. Next articleWin, lose or Draw? So genuinely glad to see how active you are, on your own blog and others, it’s such a joy to have you return. The stories of Legion were what brought me back to the game. Especially Valsharah was a fantastic zone for me, despite the sad outcome. Oh, I am looking forward to see your new UI, good luck adjusting it, it can be quite timeconsuming but so nice once it’s done. Which Addons are you on the hunt for? Aha I see, that sounds intriguing! I’m so glad Legion brought back your love for the game. And I’m so glad our blog challenge helped me find your blog! Can’t wait to read more of your posts.